The X68000 is the Japanese exclusive PC type computer... with hardware virtually identical to the capcom CPS hardware, it has great arcade ports, to the extent that many arcade games were developed on it! Released in 1987, it had hadrware sprites and FM sound long before the IBM PC, however it's DOS-like Human68k is easy for someone used to the PC to pick up. 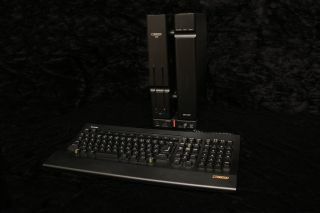 The X6800 is instantly reconginsable by it's 'Twin Tower' (manhattan) design, unfortunately, its continuing popularity means it's expensive to buy, and it's power supply is prone to failure... it also needs a special keyboard and mouse - and cannot use PS2, which adds to the cost of ownership... it can however use MSX joypads! 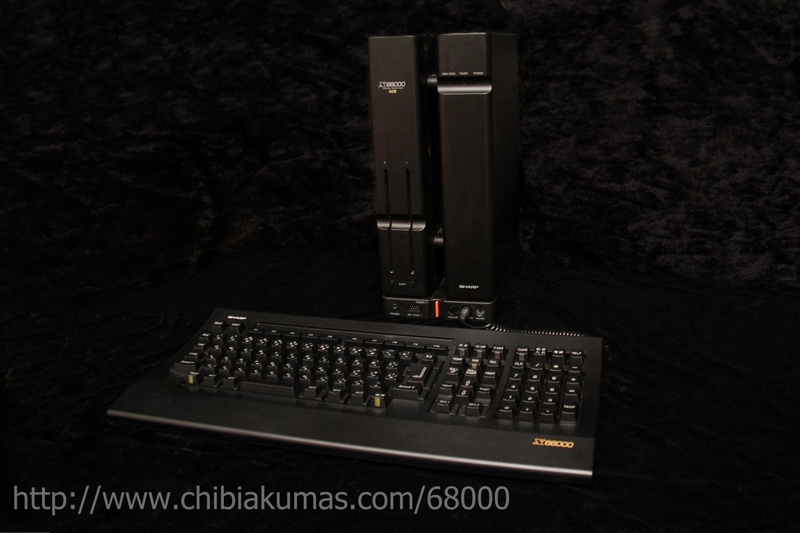 Lets take a look at the X68000 specs! X68000 technical data book - It's in Japanese, but I've needed it many times in my programming, so what can you do? it sounds strage, but our code is considered the 'Text segment'... we don't really need the other segments for our hello world type example. The example to the right doesn't really do anything, it's just got some different contents, which should be easy to see in the resulting output. We'll compile it with AS, and look what happens! The Assembler will produce this output if we use the -p option to output the listing... we've also included -d to tell it to output the symbols to the binary file. Once we've used LK to convert the object file to a X file, we can see the result. The Symbol table - it's size is also in the header. The symbol table is made up of a series of entries in the format shown below. You may wish to do your assembly programming on the x68 itself, but even if you don't you may need to edit batch files and settings files on your x68 emulator. Fortunately, the x68 has a built in editor called ED.X - it's pretty easy to use, but you'll need to know the basic keypresses to save and load your work. the most useful keypresses are show to the right. We can build Hello World with VASM, or the official assembler. the Sharp/Hudson assembler and linker will output a complete xfile for us! Here are some sample values for a 16 color screen ... you will need to change the values in the dark section if you want 256 colors. Graphics mode palettes are defined by the registers from $e82000... each takes 2 bytes, so color 0 is at $e82000, and color 1 is at $e82002... there are up to 256 depending on screen mode. $ed0078 1.b Brightness palette 0-3 5bit??? Human68k is generally DOS like, however while it is based around 8.3 filenames, the files can be 18.3 - but please note, the extra 10 letters are not 'really counted' the first 8 must make the filename unique! I had a lot of trouble finding documentation on how to wait for Vblank, so I though I'd mark it clearly here! Replacing an x68000 powersupply - The power supply breaks a lot, but can easilly be replaced with a PC Pico-ATX psu!